If you have been following this blog for a while you probably already know that fructose isn’t good. New research presented yesterday at the annual meeting of the American College of Neuropsychopharmacology shows that all sugar isn’t all the same when it comes to hunger and feeling full. This research investigated the differences between fructose and glucose by showing images of food to volunteers whilst they were having a fMRI scan of their brain. 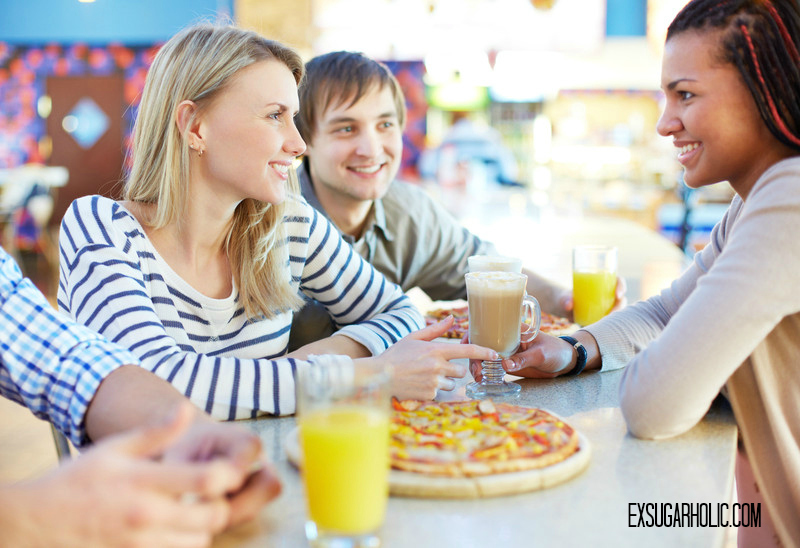 Eating or drinking fructose triggers the reward circuits in your brain and makes you want to eat when you see something desirable (such as cake), even if it’s just an ad on TV or a picture (I’m sure marketeers are aware of this, perhaps without understanding the reasons!). Fructose does not make you feel very full. Glucose, on the other hand, makes you feel more sated and hence you don’t feel like overeating. This makes all the difference in the world if you want to loose weight or just be healthy. Be aware, however, that most table sugar and sugar added to processed foods are made up of a combination of fructose and glucose. Choose your sugars wisely. 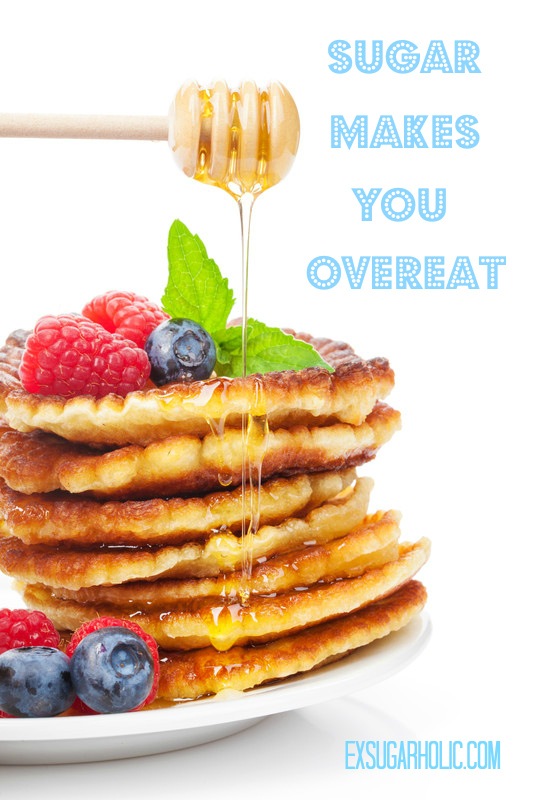 If you cook and bake, swap fructose for glucose. Glucose is the body’s primary source of energy and the sole energy source for the brain. This doesn’t mean that you should start overindulging in glucose Don’t eat more than you normally would of fructose rich foods. 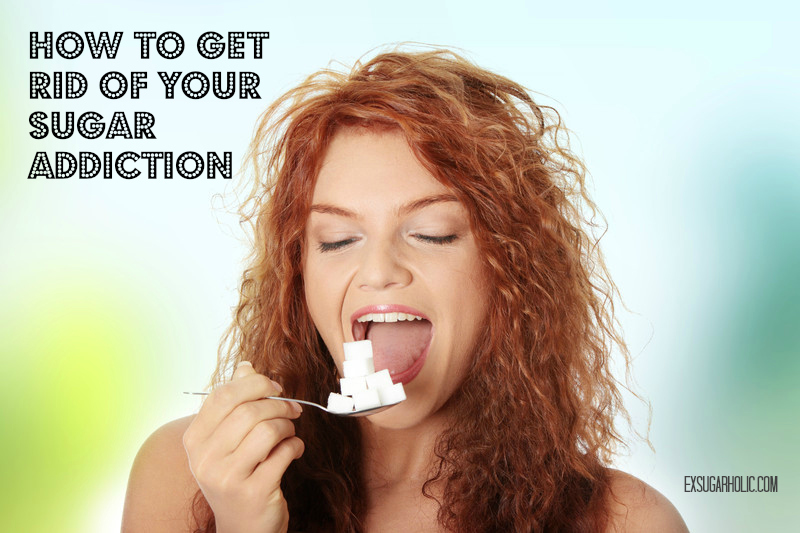 But, if you want a healthy life style, you can start by swapping sugars, then slowly reduce your intake and you will notice that your taste-buds all of a sudden become less sweet. You then don’t want to eat as many sweet things and if you carry on, eventually you don’t want sweet things at all. 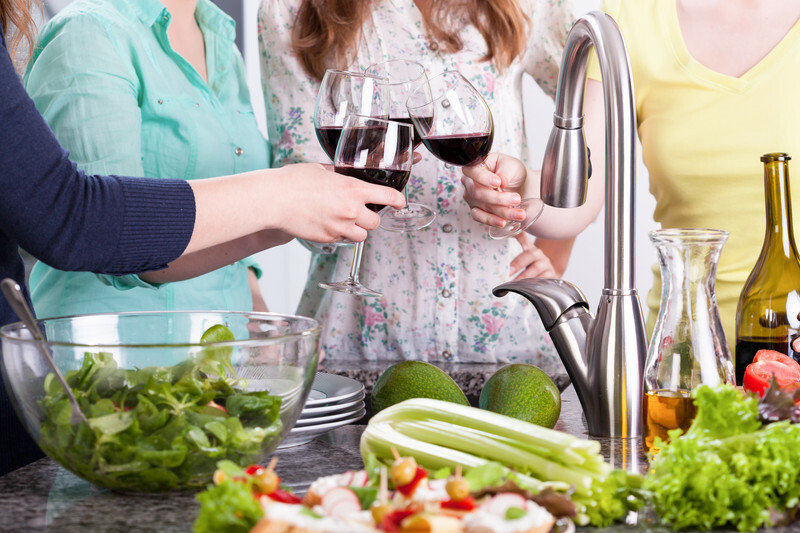 No willpower needed to resist the sweets, just your cleansed body telling you what you need. You can also use alternative sweeteners (non-sugars). If you want to know more, please follow my blog. 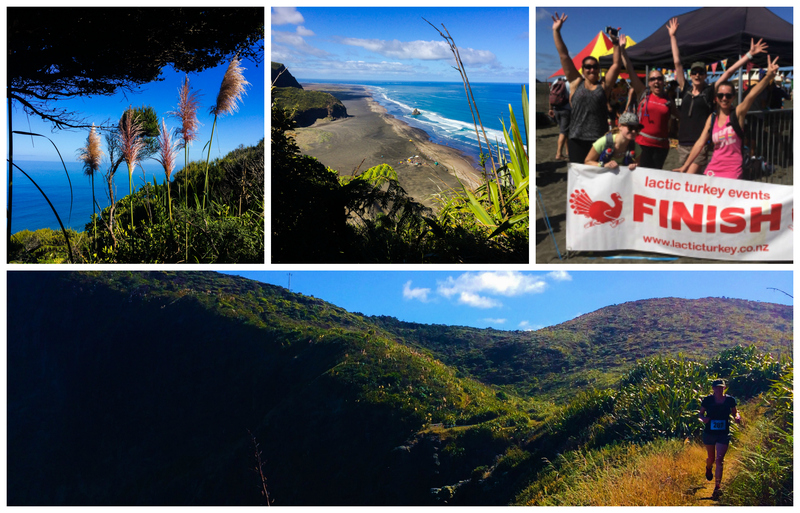 Follow me here (via email, see top right on this page) or on Facebook. 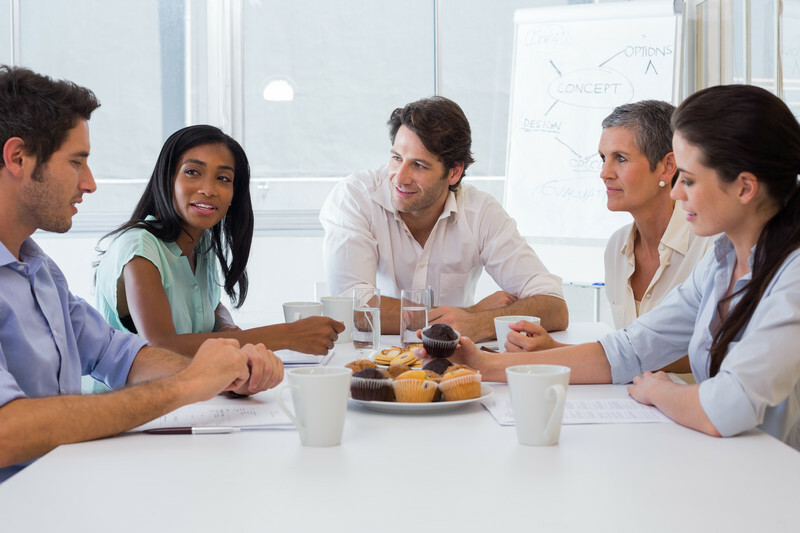 *I use the word indicate as the sample size was only 24 people. It is time for an ‘ice cream’ recipe. 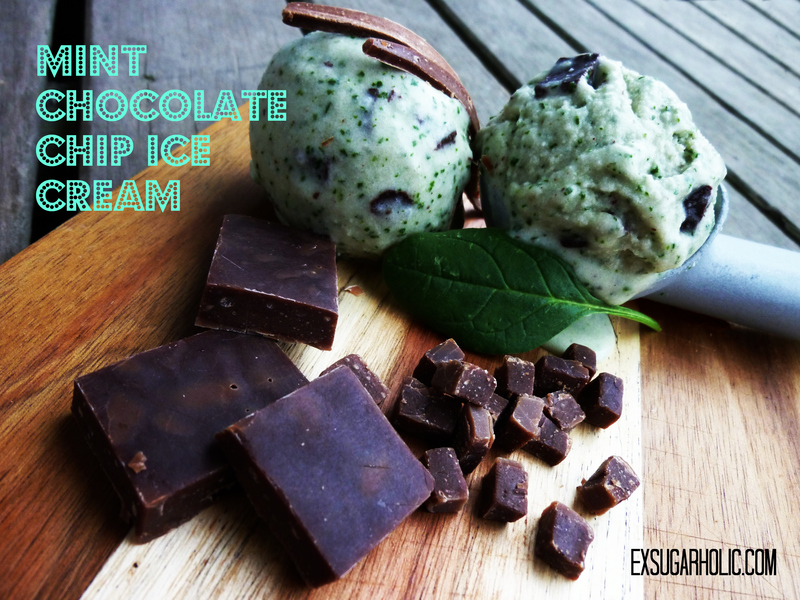 I’m a massive fan of chocolate and mint, so what could be better than mint chocolate chip ice cream! 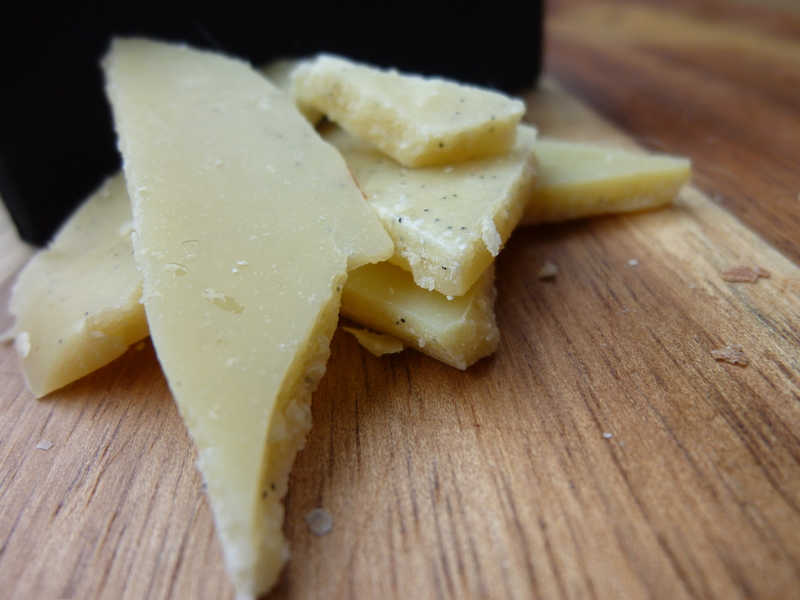 This one is smooth, minty and creamy – yum! 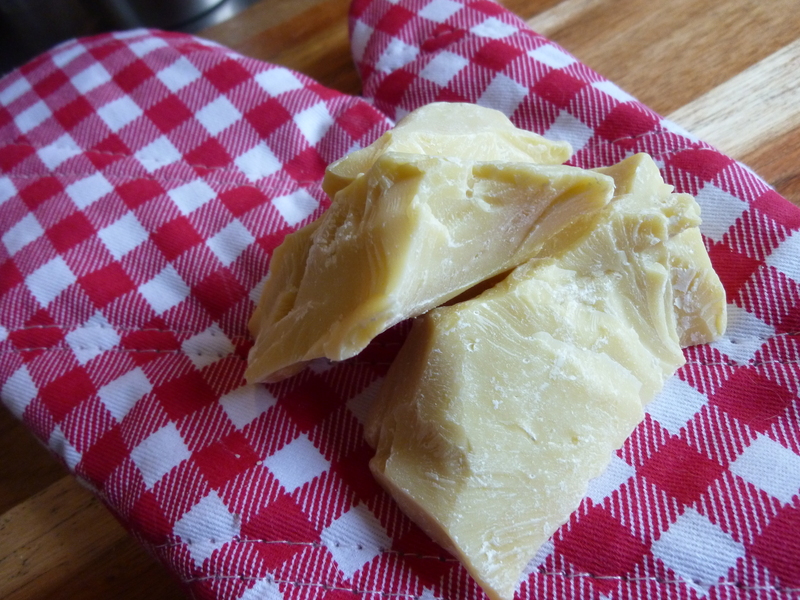 Just a couple of notes before you are even thinking about swapping ingredients…. (I am sure you know the feeling of finding a recipe you want to try but are missing an ingredient or two and therefore swap with something else). I was going to make some with young coconut meat (I’ve seen a recipe somewhere with that), but since there was nowhere to get a hold of it, I grabbed a regular (who-knows-how-old-it-is) coconut from my local supermarket and spent ages getting the meat out (which is not easy when it’s hard – young coconut meat is soft and scoop-able). However, let me just say, that was edible but not pleasant enough to eat more of. Then I tried coconut milk and decided it was too ‘soupy’. Third time is the charm it seems though. 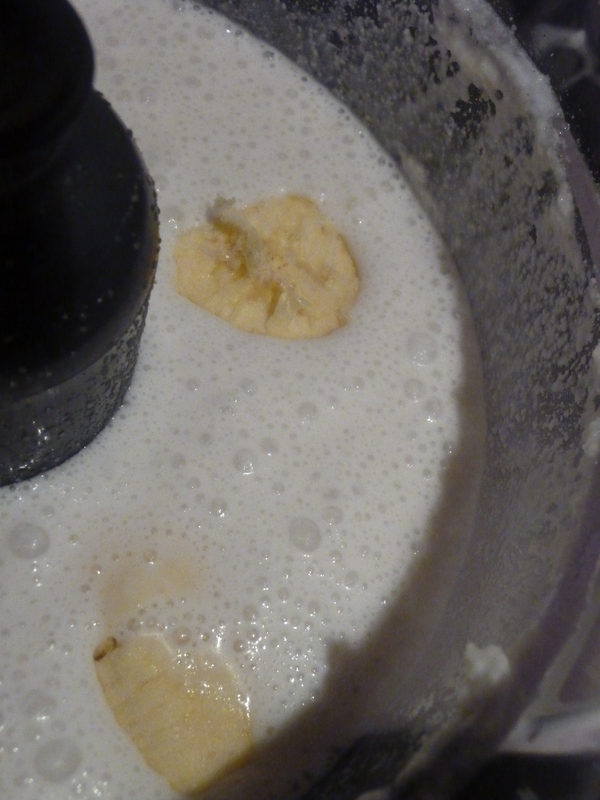 Coconut cream and banana did the trick! Makes approximately 1 litre of ice cream. 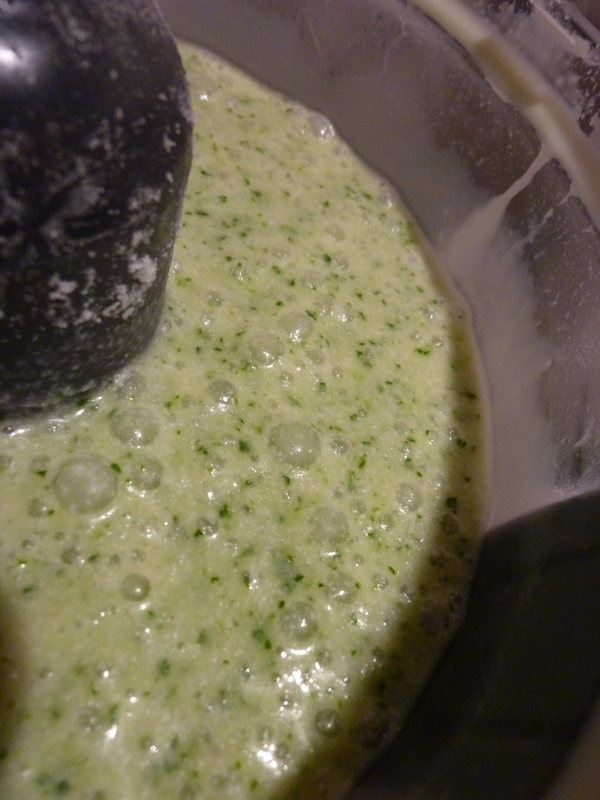 Pour all the ingredients into the food processor and set at high speed until completely smooth (or as much as you want). I blended in-between but no need to. 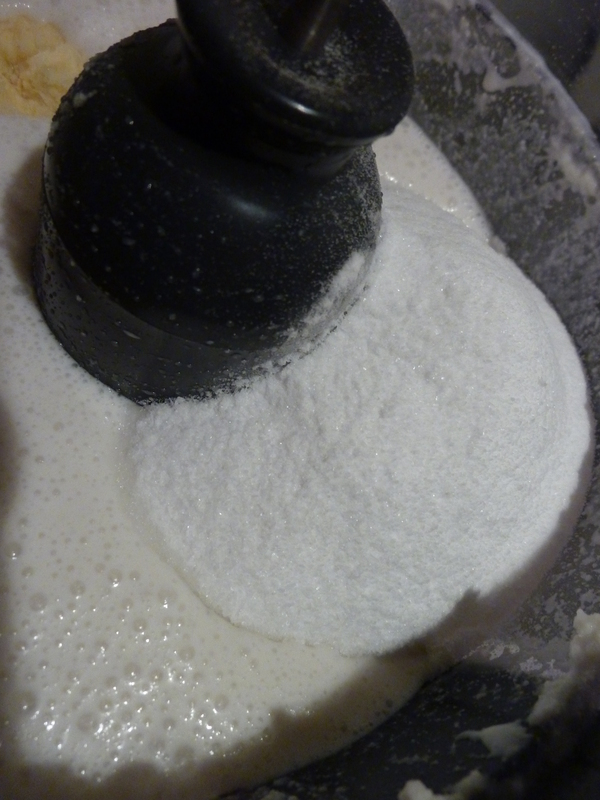 Then, you pour the mixture into your ice-cream maker for about 25 min. 5 minutes before time is up, add your chocolate chips and then pop into a container to set in the freezer for at least an hour. This recipe keeps okay in the freezer (it doesn’t go totally hard due to the fat in the coconut, you just need to de-frost it for 15-30 minutes before digging in) but it definitely best if eaten straight away. Enjoy! 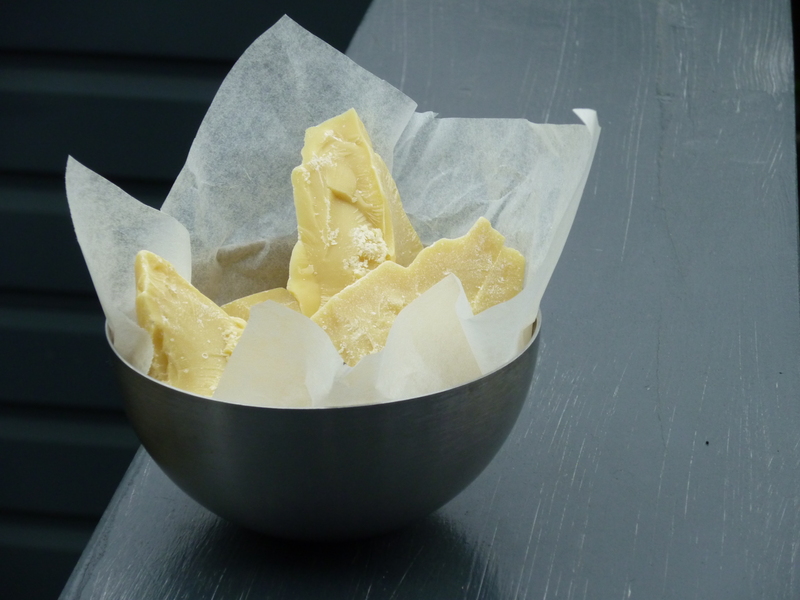 I just stumbled on a recipe from Sarah Wilson’s book I Quit Sugar on chocolate butter cups (great book by the way, for anyone else on a sugar-free journey :)). That made me think, that this would be another good use for the fudgy chocolate I made the other day!!! 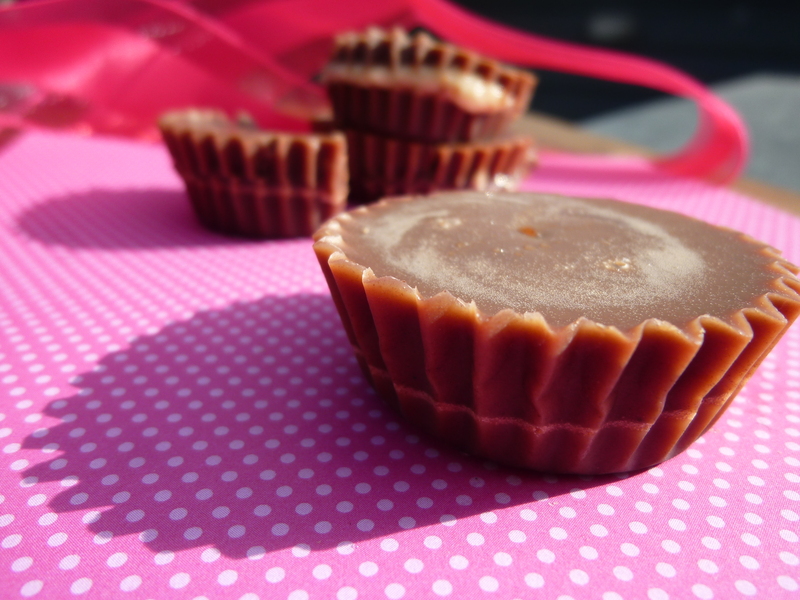 Homemade healthy peanut butter cups – yum! 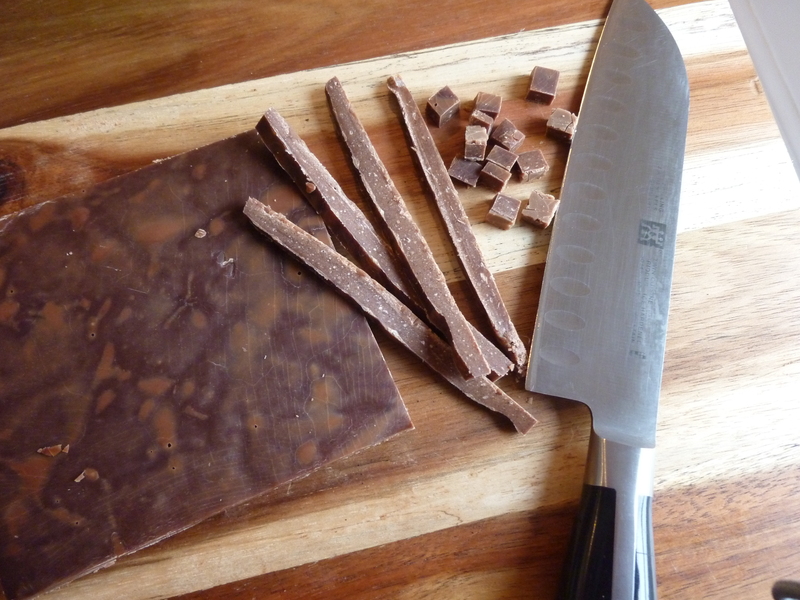 For the chocolate – follow the recipe for Fudgy Chocolate on one of my other posts. The only other ingredient is peanut butter. Either you can buy some (make sure you check the labels – lots of them have added Palm Oil and sugar in it – I buy one called 100% Nuts which is exactly as it says on the label, only nuts). Or even better, make your own (I do this when I have time, it’s cheaper as well). 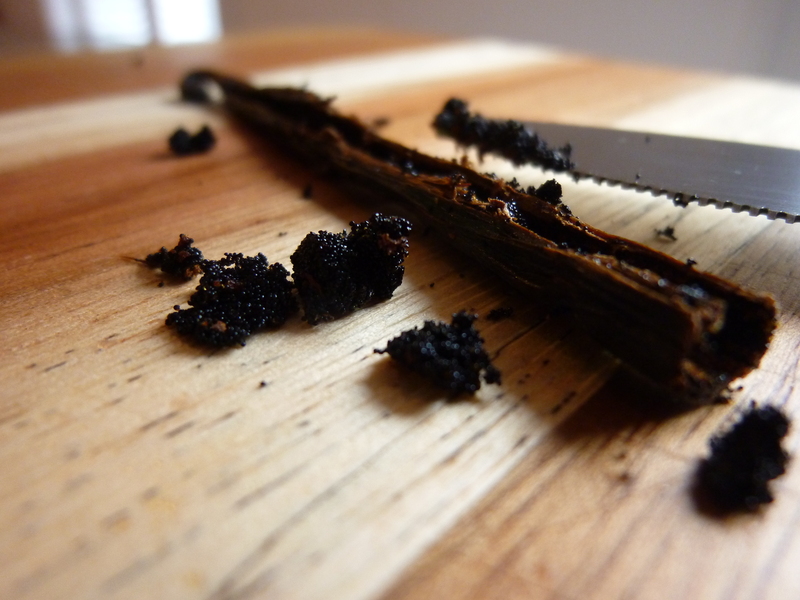 There is no end to the flavors and substitutes that you can make. 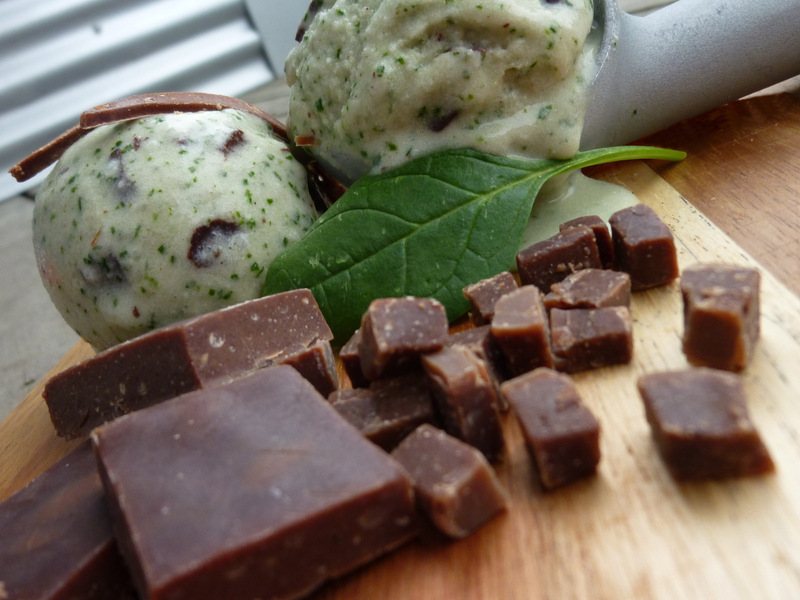 As someone else commented on my fudgy chocolate recipe (thanks Anne) – you can swap the vanilla essence with mint essence! You can also substitute the peanut butter with any other nut butter you can think of – or, how about adding in homemade Nutella, white chocolate, mashed banana, or anything else your creativity might inspire – do share if you think of something new! 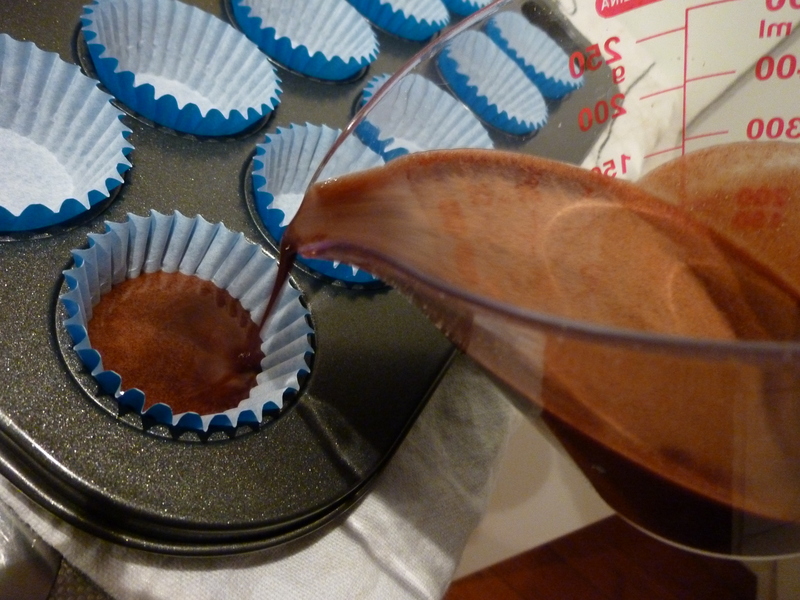 Make the chocolate mix and tip it into something which is easy to pour from (I used my measuring cup). As soon as you have stopped stirring the chocolate it will start separating. This is actually what I really like about this recipe. 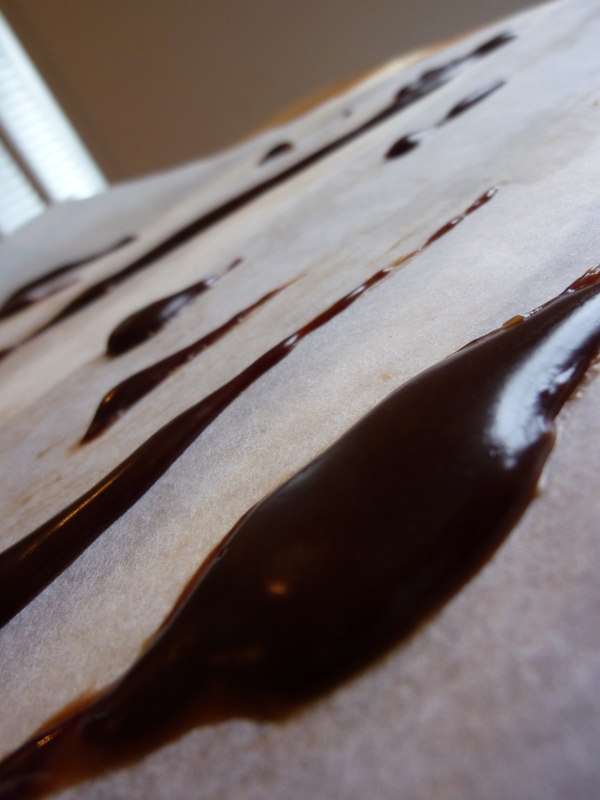 The ‘liquid’ part will harden into crunchy chocolate whilst the ‘thick oozy’ part will shape into chewy fudgy chocolate. Use this to have some fun. Pour the two different densities into separate containers. I poured in a little liquid in all the cups first. Now pop it in the freezer for 5 minutes. 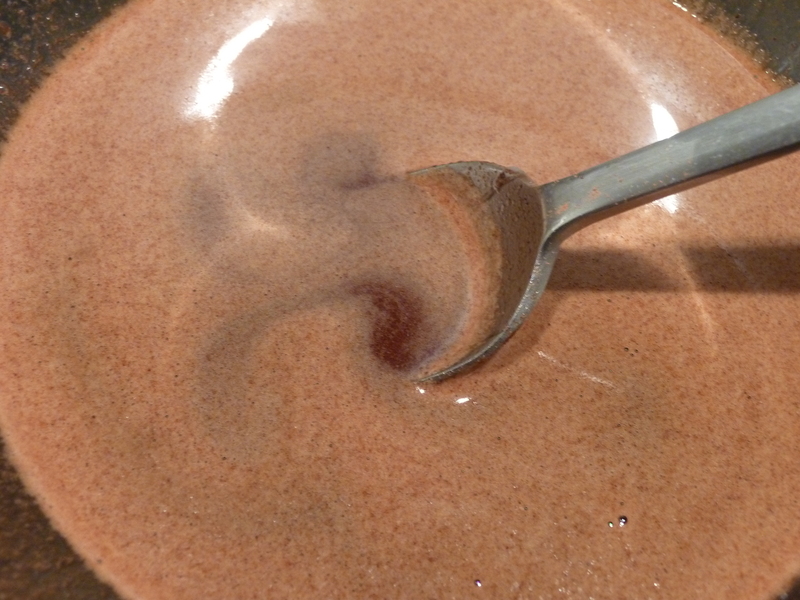 Take it back out the freezer (don’t leave it for any longer or the rest of your chocolate mix will get to dense to pour). Now spoon a little peanut butter in the middle of each cup. 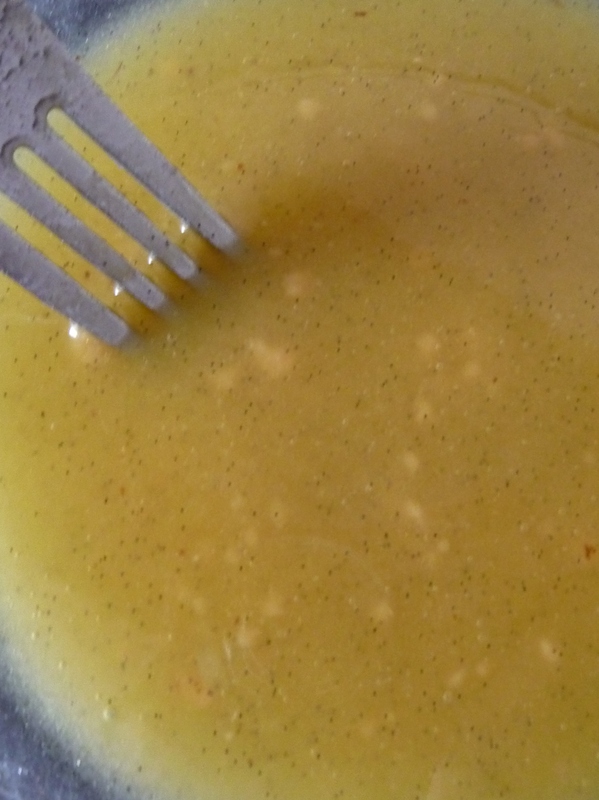 I choose to add a little peanut oil to my peanut butter to make it runny as you bite into the final product (but this also means that you will get a flat line of it as in the top picture). 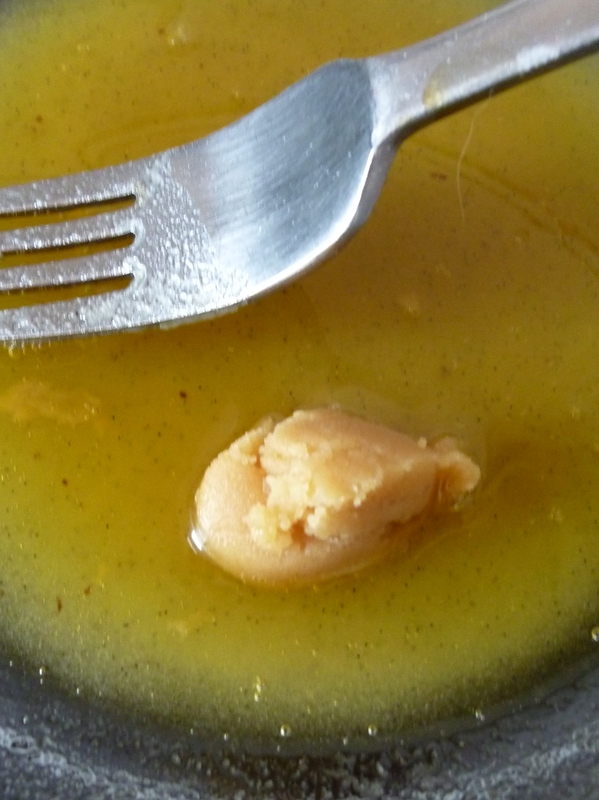 If you want more peanut butter in your cup and for it not to touch the sides, all you have to do is not add any oil. Then it will be dense enough to dollop and form a ball, rather than spread out. 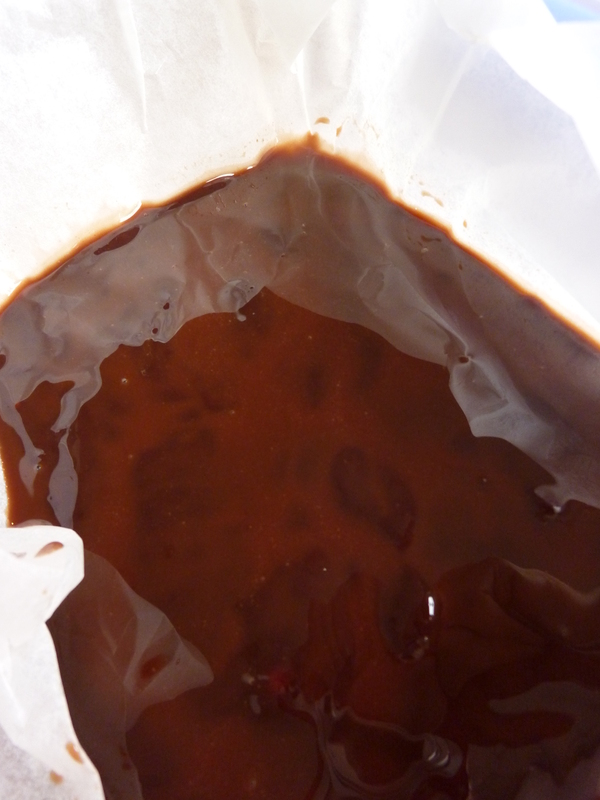 Now pour on a layer of the thick chocolate and wait for it to spread out evenly. 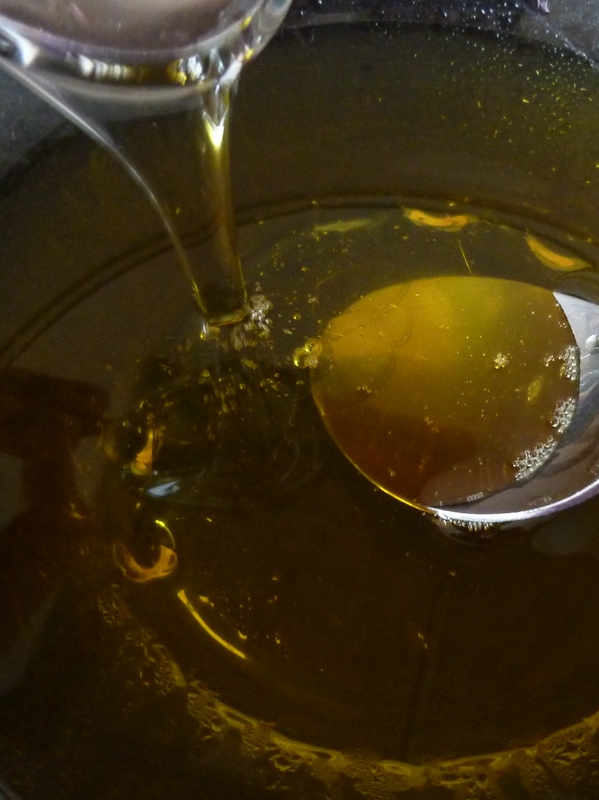 Then pour on a finishing layer of the liquid. Then, pop the tray in the freezer and let it set for 30-60 minutes. 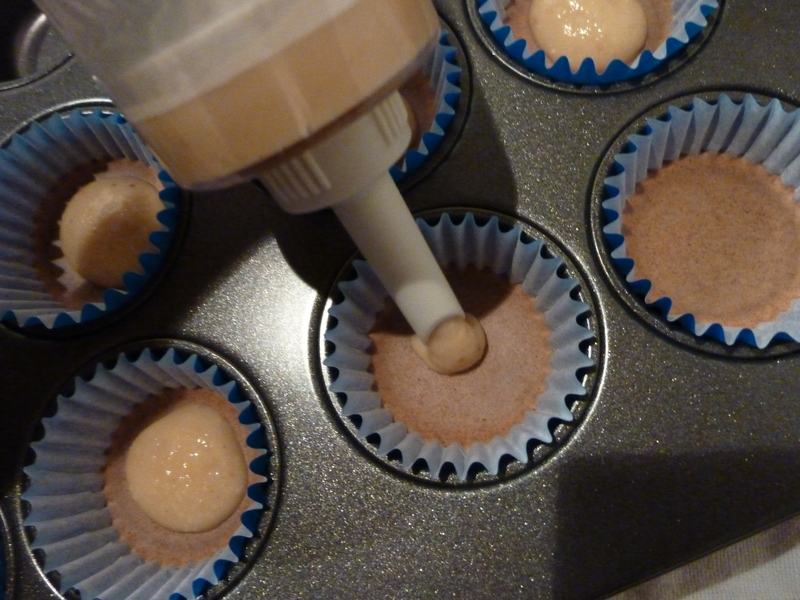 Your peanut butter cups are now ready to use and will have a crunchy layer on bottom and top with soft peanut butter and chewy chocolate in the middle. You can keep them in the freezer for storing OR in the fridge if you are eating them within a week (regardless, they taste best when they are at fridge or living room temperature depending on your taste – they take about 15-30 minutes to ‘defrost’ when they come straight out of the freezer). Enjoy! This recipe was a little bit of luck. I had run out of dextrose to make chocolate chips for another recipe (mint chocolate chip ice cream – will post later this week), so I used glucose syrup instead. 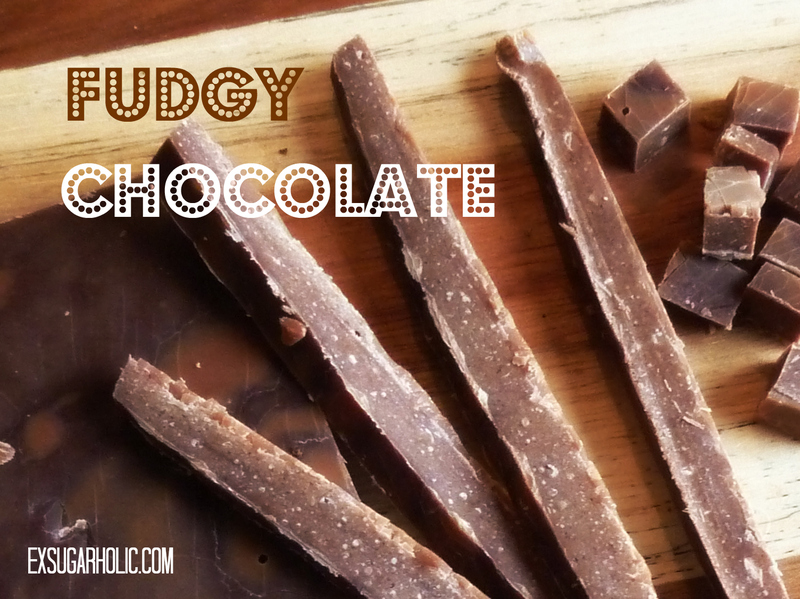 Rather than hard and crunchy, this chocolate turned out decadent, chewy and fudgy! 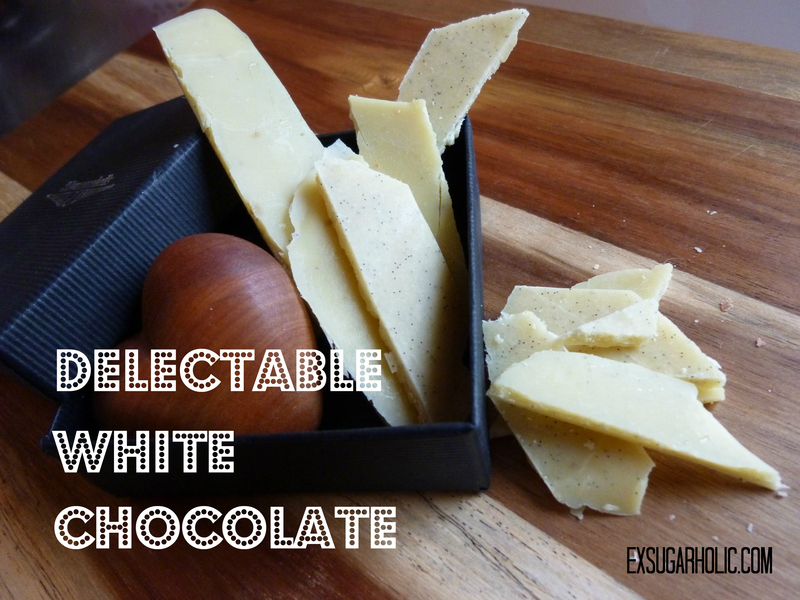 This chocolate can be used for anything – add as chips in ice cream, cupcakes or cookies or just eat as a treat. 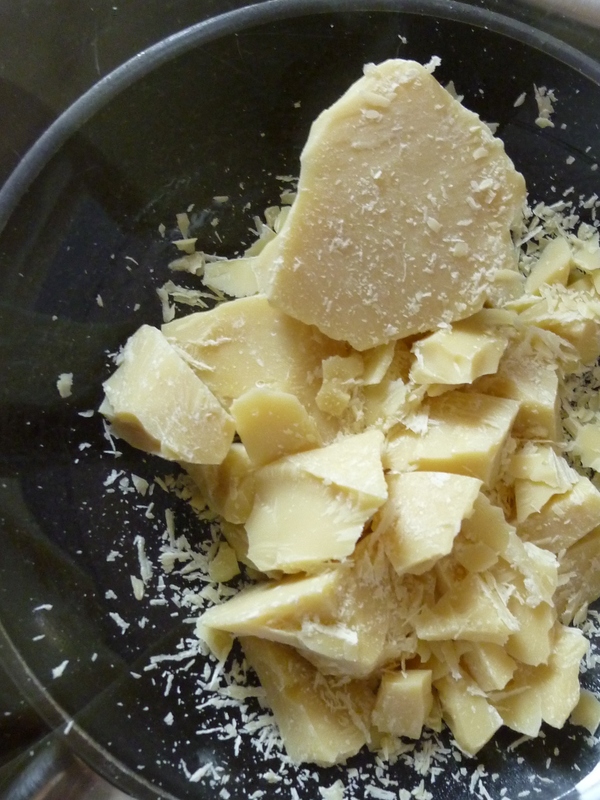 Measure out your cocoa butter. Then chop it up and melt over a water bath. 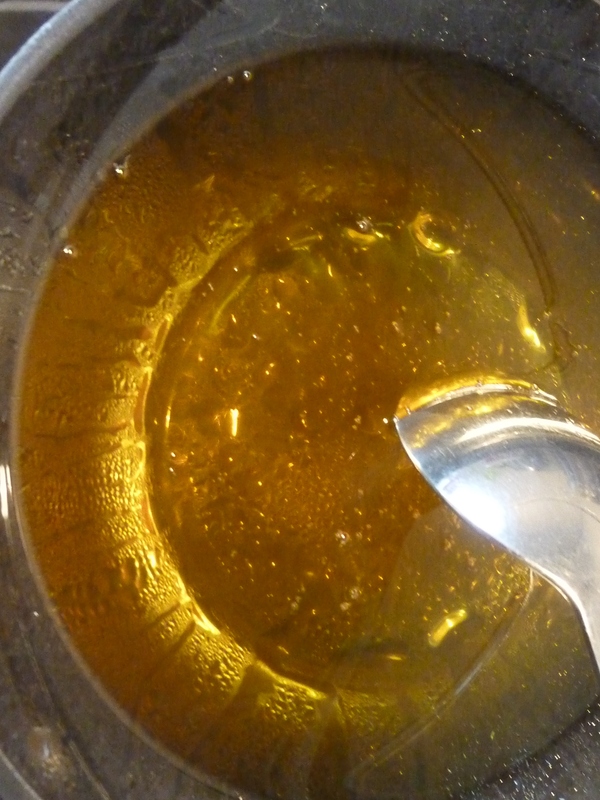 Then add the glucose syrup whilst stirring and keep stirring until it has dissolved as much as possible (it will separate a little bit and the syrup will stay at the bottom. 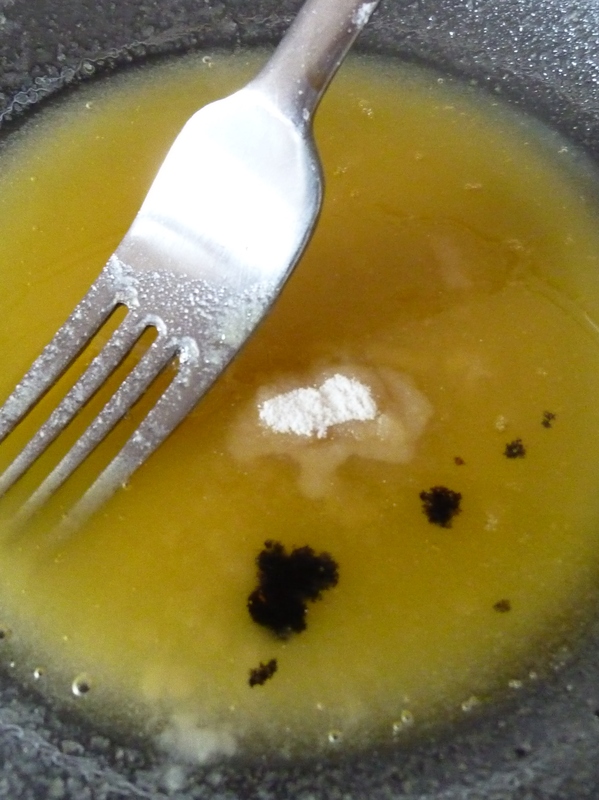 You may find that it doesn’t dissolve completely, that’s okay, it will still turn out fine). Take off the heat, add in the rest of the ingredients and stir some more. 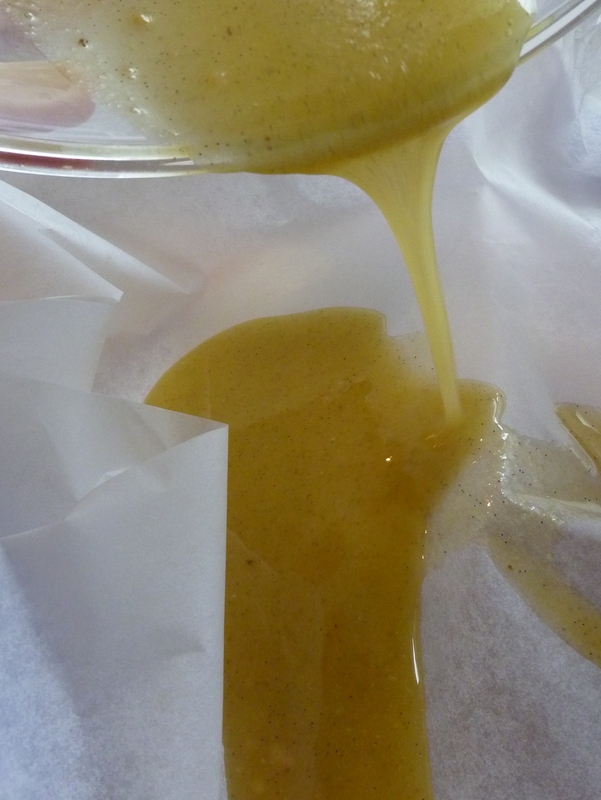 Then pour into a container (lined with a baking sheet) or make into chips or other decorative shapes (just keep in mind that if you go too thin the end shape will bend at room temperature due to it’s fudginess). 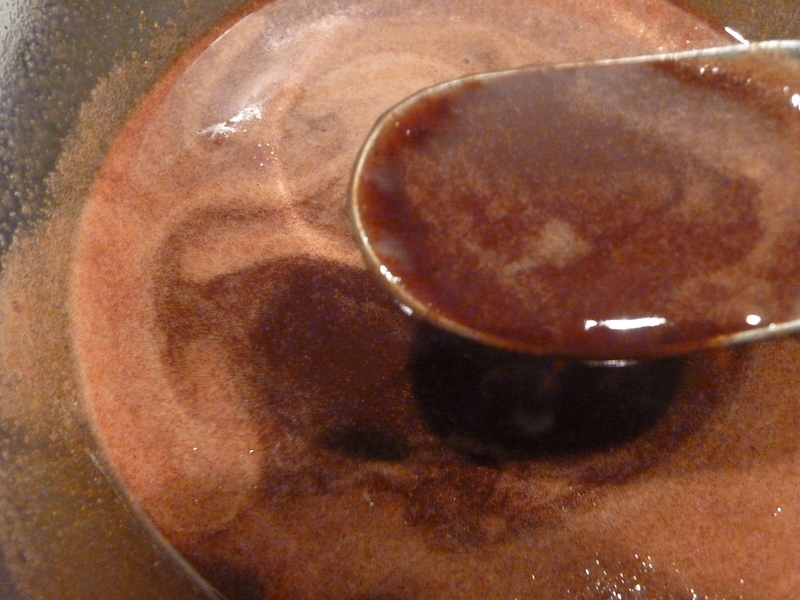 It will naturally separate into layers of liquid and dense chocolate (as seen by the different brown colors in the photos below. I love the different texture in bars etc. 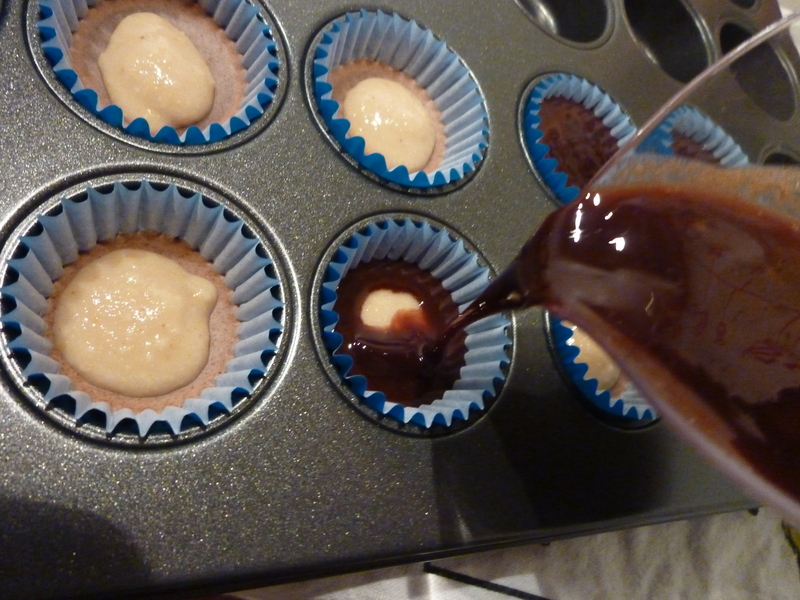 However, if you want more fudgy, chewiness rather than crunch, add more syrup and chocolate or reduce the cocoa butter. 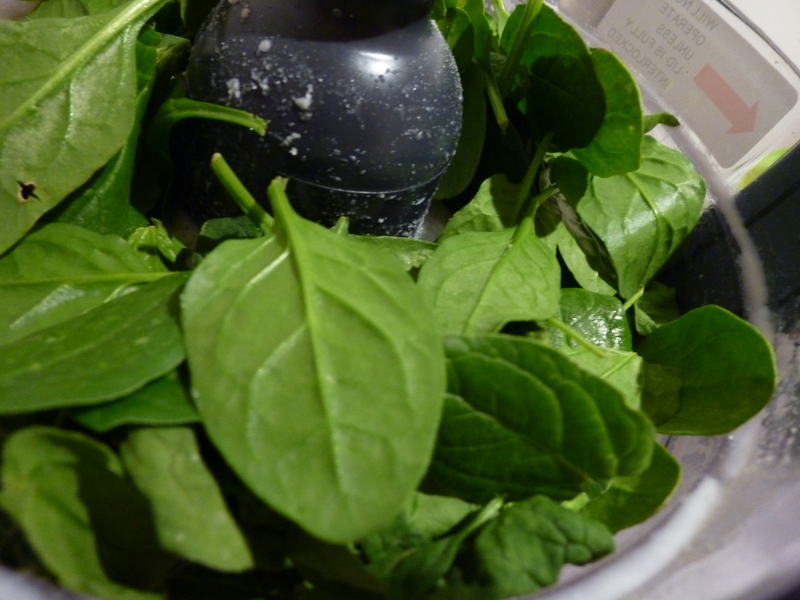 Then freeze until it has set (10 min – 30 min) and chop up and use for whatever purpose you desire! 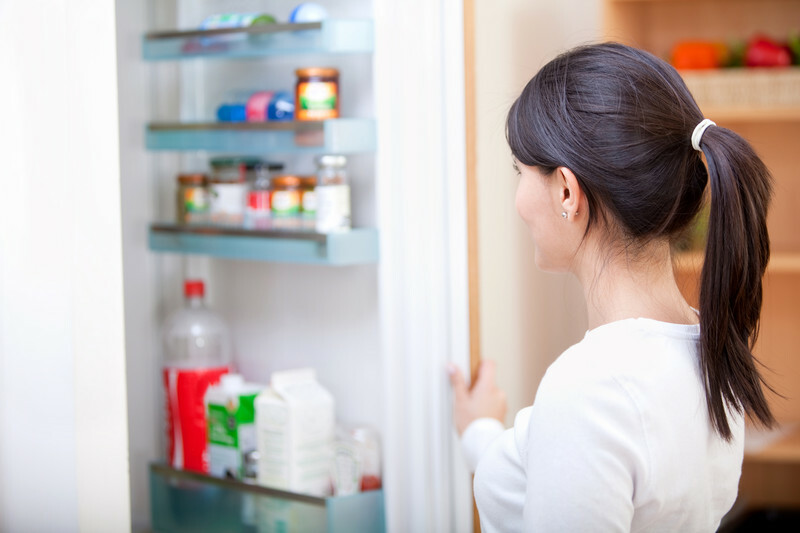 Or, you can keep it in the freezer for whenever you have a craving for it – after 10 seconds out of the freezer it has softened a little bit and you can munch away (depending on the thickness you may have to be patient a little longer if it’s completely frozen – the thicker you go, the longer it takes to ‘defrost’). Enjoy!